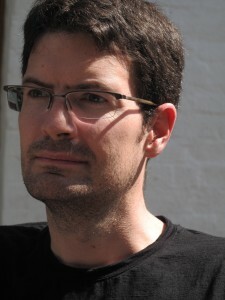 Simon Mackenzie is Professor of Criminology at Victoria University of Wellington and a member of the Scottish Centre for Crime and Justice Research at the University of Glasgow. He is a socio-legal criminologist with a law degree from Edinburgh followed by several years of legal practice, an MPhil in criminological research from Cambridge and a PhD in criminology from Melbourne. He is author of Going, Going, Gone: Regulating the Market in Illicit Antiquities (2005), which won the British Society of Criminology book prize in 2006. With Penny Green, he conducted an ESRC funded evaluation of the Dealing in Cultural Objects (Offences) Act 2003, with the results published in their edited collection Criminology and Archaeology: Studies in Looted Antiquities, Oñati International Series in Law and Society (2009). He has held grants and research contracts from bodies including the ESRC, AHRC, UNODC, European Commission, UK Home Office, and in the case of the Trafficking Culture project, the European Research Council. Mackenzie, S. (2015), ‘Do we need a Kimberley Process for the Illicit Antiquities Trade? Some lessons to learn from a comparative review of transnational crimeinal markets and their regulation’, in F. Desmarais ed. Countering Illicit Traffic in Cultural Goods: The Global Challenge of Protecting the World’s Heritage (Paris: ICOM). Davis, T. and Mackenzie, S. (2014) ‘Crime and Conflict: Temple Looting in Cambodia’. In J. Kila and M. Balcells (eds) Cultural Property Crimes: an overview and analysis on contemporary perspectives and trends (Brill: Leiden) 292–306. Mackenzie, S. and Davis, T. (2014), ‘Temple Looting in Cambodia Anatomy of a Statue Trafficking Network’, British Journal of Criminology, 54: 722–740. Mackenzie, S. (2011), ‘Illicit Deals in Cultural Objects as Crimes of the Powerful’, Crime, Law and Social Change, 56, 133-53. 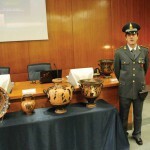 Mackenzie, S. (2011), ‘The Market as Criminal and Criminals in the Market: Reducing Opportunities for Organised Crime in the International Antiquities Market’, in S. Manacorda and D. Chappell (eds. ), Crime in the Art and Antiquities World: Illegal Trafficking in Cultural Property (New York: Springer). Mackenzie, S. (2009), ‘Protection Against Trafficking in Cultural Property’, (Vienna: UNODC). Mackenzie, S. and Green, P. (2009), ‘Criminalising the Market in Illicit Antiquities: an Evaluation of the Dealing in Cultural Objects (Offences) Act 2003 in England and Wales’, in S. Mackenzie and P. Green (eds. ), Criminology and Archaeology: Studies in Looted Antiquities (Oxford: Hart). Mackenzie, S. and Green, P. (2009), ‘Introduction’, in S. Mackenzie and P. Green (eds. ), Criminology and Archaeology: Studies in Looted Antiquities (Oxford: Hart). Mackenzie, S. and Green, P. (2008), ‘Performative Regulation: a Case Study in How Powerful People Avoid Criminal Labels’, British Journal of Criminology, 48 (2), 138-53. Mackenzie, S. (2007), ‘Dealing in Cultural Objects: a New Criminal Law for the UK’, Amicus Curiae: Journal of the Society for Advanced Legal Studies, 71, 8-18. Mackenzie, S. (2007), ‘Transnational Crime, Local Denial’, Social Justice, 34 (2), 111-24. Mackenzie, S. (2006), ‘Psychosocial Balance Sheets: Illicit Purchase Decisions in the Antiquities Market’, Current Issues in Criminal Justice, 18 (2). Mackenzie, S. (2005), ‘Dig a Bit Deeper: Law, Regulation and the Illicit Antiquities Market’, British Journal of Criminology, 45, 249-68. Mackenzie, S. (2005), ‘Criminal and Victim Profiles in Art Theft: Motive, Opportunity and Repeat Victimisation’, Art, Antiquity and Law, X (4), 353-70. 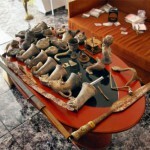 Mackenzie, S. (2002), ‘Regulating the Market in Illicit Antiquities’, Trends & Issues in Crime and Criminal Justice No. 239 (Canberra: Australian Institute of Criminology). Mackenzie, S. (2002), ‘Organised Crime & Common Transit Networks’, Trends & Issues in Crime and Criminal Justice No. 233 (Canberra: Australian Institute of Criminology). Kenyon, A.T. and Mackenzie, S. (2002), ‘Recovering Stolen Art – Legal Understandings in the Australian Art Market’, University of Tasmania Law Review, 21 (2), 1-22. Kenyon, A.T. and Mackenzie, S. (2002), ‘Recovering Stolen Art: Australian, English and US Law on Limitations of Action’, University of Western Australia Law Review, 30 (2), 233-50.